Does your current policy cover your dog? We’ve got some good news for you! - Scarsdale Premier Insurance Agency | Advocate Brokerage Corp. Does your current policy cover your dog? We’ve got some good news for you! 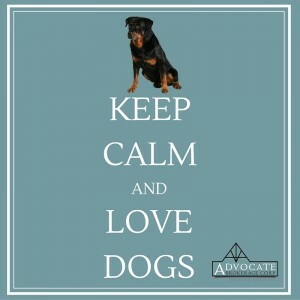 Advocate Brokerage LOVES our furry friends. Dogs are loyal companions, best friends and members of our family. However from time to time questions arise regarding a dog bites. The most common being; Does my current policy cover my dog? Well, we’ve got some good news for you! Advocate Brokerage has handled a multitude of dog bite claims and the answer is yes, our business partnership with elite carriers allows for coverage for most breeds of dogs. But the fact remains that in 2014 there were over $530 million dollars awarded in dog bite claims (according to the Insurance Information Institute). That means that 1/3 of all 2014 homeowner liability claims were dog bite related. That is why so many of the middle market insurance carriers have a doggie black list. For Advocate Brokerage and our clients, there are few black-listed dogs. So relax, your properly disclosed family pet will most likely be covered on your policy. (The application is always subject to underwriting review.) Even so, if your dog has a bite history, that is a different story. If my dog has bitten someone, what now? First, know that you are protected under your homeowner’s policy, but not all policies cover equally. Payment varies depending on whether your dog bites a person or another dog. In general, companies limit payments on dog bites involving another dog. Awards are often limited to the cost of replacing the dog, even if the costs of caring for the medical injuries exceed the value of the dog itself. Second, once your dog has bitten someone, your insurance could be in jeopardy. If your dog bites twice, you can expect your insurance to be cancelled at the earliest legal time unless you make the difficult decision to part with the dog. When this unpleasant situation occurs, the choice of conventional insurers will be non-existent, leaving Lloyd’s-type policies that will exclude dog-bites.